RUSH: Another email: “How come you’re not talking about this Army widow and her ongoing battle with Trump?” I’ll tell you why. Because the story’s over. It’s another one of these things that the Drive-Bys are trying to keep alive in order to impugn and besmirch Trump, and I’ll tell you whose fault this is — and this is another reason why I’m not taking the bait. I’m just not gonna delve into it. We talked about this Thursday and Friday. This congresswoman who is in the phone call — this cowboy sequined, cowboy-hat-wearing congresswoman — could have prevented all of this. She’s listening to the phone call that Trump makes to the widow. If she were acting responsibly — she’s in the car with the widow of a hero military person killed in action — her sensitivity should have been aimed there. But that’s not where she was thinking. She was thinking, “How can I maximize whatever happens on this phone call to help me and to hurt Trump, and to help my party and to hurt Trump’s.” That’s the perspective she had listening to the call. So she hears Trump, who had been given advice by General Kelly what to say, and he said it in his own way. 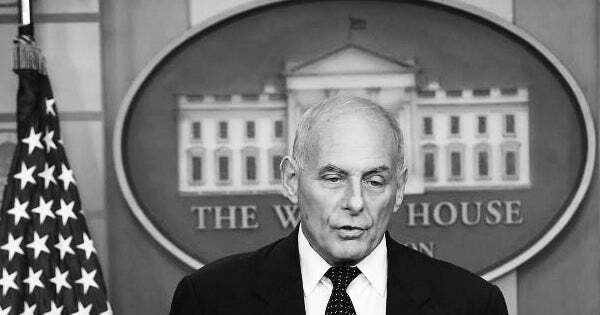 He said everything that Kelly said to say — and, by the way, he said things that other people say. There’s a lot of variations of saying, “Your husband died doing what he loved doing. This is what he signed up for.” There are a lot of variations to that. Everybody knew what Trump meant. But this woman, this congresswoman took it upon herself to politicize this. She could have said to the widow, if she… I don’t think the congresswoman has the brains to do this, frankly, so I’m probably talking about an impossibility. But had it been me in that car, had everything that happened happened and had it been me in that car with her, I would have said to the widow, “Okay. I don’t think that the president was trying to insult you. I think the president was trying to tell you how much respect he had for you and your husband. “I think he was trying to convey what a hero he thinks your husband is. He may not have said it in ways that other people say things, you know, the old…” There’s an argument going out there (that I don’t want to join, by the way) that Trump has no empathy, that Trump doesn’t really care. “Trump only cares about himself. He’s only caring and thinking about his next tweet! He doesn’t care about these soldiers.” I’m not joining that fray because I don’t think that’s true. I think the exact opposite. I think Trump deeply admires these people. All that congresswoman would have had to say… She could have comforted that widow, but she chose not to. She chose to politicize it. They chose to use this as an opportunity to once again do her party’s bidding and go out and skewer Trump — and she did it at the expense of this widow’s heart and feelings, and has dragged this widow into this now. The widow’s on TV and in the media saying the same things the congresswoman said, just prolonging this and increasing the pain and prolonging the period of time of “closure,” as they say. So you’ll forgive me for not getting to the back-and-forth on this because all of this, I’m kind of like General Kelly in the sense that this repulses me, because this is sacred. He was exactly right. This is a sacred thing, to die for your country. These people who represent less than 1% of our population, and they’re different from all of us. They join. They volunteer. They know what they are getting themselves into. They’re offering to do it. They’re volunteering to do it. It’s no different than saying, “It’s what he signed up for.” It may be an inelegant or a casual way of saying something, but nobody can convince me that Donald Trump is heartless. I know the man. He’s not heartless, and that’s what they’re trying to say here, and I don’t even want to accept that premise, which is why I haven’t led with this and continued to talk about it. That’s what Trump does. If you go after him, he’s gonna defend himself — and he’s gonna go after you. RUSH: Midlothian, Virginia. Chuck, you’re next, sir. Welcome. Great to have you here with us. CALLER: Oh, thank you, Rush. Thank you for taking my call. I’ll get straight to the point. I’ve been thinking about this for a few days now and wonder why it hadn’t been brought up. If you remember during General Kelly’s talk, he mentioned that whenever a president was going to call a survivor that there was always a pre-call made first to make sure they could take the call and set up a time doing it. So my premise is that if this was the case, then this lady knew about the call in advance and possibly this could have been a whole setup the entire time. RUSH: You know, I saw the subject of your call up there on the call roster computer display, and I’m not disputing you. I don’t remember that. CALLER: Right. General Kelly specifically said that a call was always made first in order to see if that person — the spouse the survivor — could take a call and a proper time was set up for it. RUSH: This was during his remarks in the White House briefing room? CALLER: Correct. Correct. When he was explaining how the whole process worked, right at the beginning. RUSH: Well, you know, it could be. I didn’t see it. I had a couple sound bites or three that we played and that might not have made the cut of what we played. I’m not disputing you. I didn’t hear it, which is why I haven’t commented on it. If that’s true then your suspicious that it was a setup is probably very, very shrewd. CALLER: Well, then I recommend you go back and listen to the whole thing, because I specifically recall that point. RUSH: Are you telling me I can’t trust you? CALLER: (laughing) No. Not at all. (laughing) What I’m saying is when you think about it, it makes common sense that a president wouldn’t make just a random call hoping they’d get somebody. RUSH: It’s the same thing. Same principle here. CALLER: My point is it wasn’t an accident that this congresswoman was there. RUSH: Yeah. Oh, absolutely true. That’s my whole point. Here’s another thing. Why isn’t this congresswoman…? Why is it Trump’s fault that this man died? Trump didn’t even deploy these people. Obama did. But who killed these people? It was ISIS, was it not, or was it Al-Qaeda? Whoever is in Niger. What is…? RUSH: The anger here is so out of proportion that it further buttresses your point that all the… You know what really the evidence that this is a setup is? Is the media is on this immediately and won’t let it go. It’s the latest in a never-ending series of events that the media pulls out of the Democrat Party playbook designed to destroy, embarrass, impugn any Republican. CALLER: It’s so ironic that our rabbit-spotting Jimmy Carter is now defending Trump. RUSH: Well, let’s get into that, since you brought that up. I appreciate the call, Chuck. That’s actually very shrewd conclusion. If Kelly did say this, and if there was, then, a screener call — if the White House called the widow and said, “Would you accept a call from the president?” — and then somehow this congresswoman finds out about it and is in the car and the call is on speaker so that the congresswoman can hear it, it does reek of setup. And then this reaction to he did what he signed up for? It’s just too pat. You know, and I’ve always thought that. This is the same thing that happened in Indiana after they signed the Religious Freedom Restoration Act there. It’s the same thing that happens with the LGBQWTF bathroom stuff in North Carolina. It’s just… It’s too pat. I mean, something happens; the media is there instantaneously describing it as an outrage, and then whole new narrative is born, and this one has not gone away as the congresswoman has milked it. I still maintain that if she believe as possible, if she had any decency about her, if she really cared about her constituents, she would have put herself last in this entire equation. She should have had that woman front and center in her mind and that the call from the president is designed as a thank-you — and instead, it’s politicized and turned into this controversy. It’s just too pat. It’s just too typical. It’s right out of the party and media playbook. I mean, now the congresswoman is acting she’s “a rock star” and getting into a back-and-forth with Trump and General Kelly over all this. All of this is just the further coarsening of what General Kelly accurately described as something that heretofore has been sacred. But, man, it doesn’t matter. The left doesn’t care. Whatever they think they can politicize for their advantage. And what they don’t realize is they’re hurting themselves. They don’t know it because the media is making ’em think that the country’s right behind ’em, the country’s all with ’em. The media’s making ’em think everybody agrees with ’em on this. Just like the NFL does not understand to this moment how it’s hurting itself. KELLY: The phone call is made to the next of kin only if the next of kin agrees to take the phone call. Sometimes they don’t. So a precall is made. “The president of the United States or the commandant of the Marine Corps — someone — would like to call. Will you accept the call?” and typically, they all accept the call. So he called four people the other day and expressed his condolences in the best way that he could. RUSH: So. 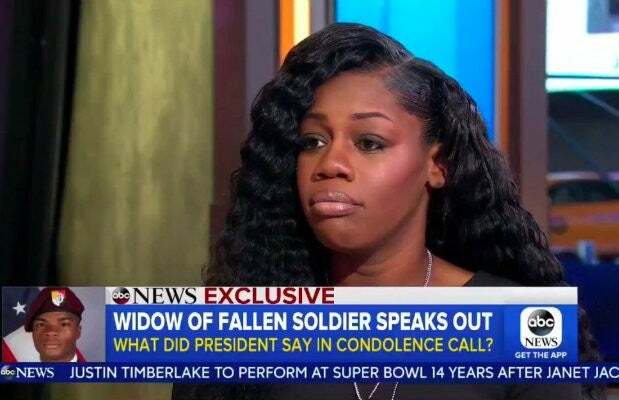 The call was made, request was made, “Will you accept a call from the president or the commandant of the Marine Corps,” and obviously the widow said, “Yes.” And somehow congresswoman… What is her name? I keep forgetting. Wilson. What is it…? 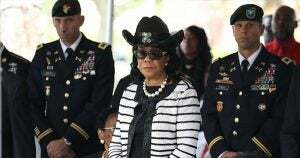 (interrupting) Yeah, yeah, Frederica Wilson. Somehow, she ends up in the car when the call comes. So, yeah, obviously setup. I’ll tell you something, folks. I was, as I have mentioned — I have not kept it a secret — I was invited to the White House back on the 23rd of March. The invitation came couple weeks prior. It was just happened ton coincidental that the 23rd of March was d-day for the first version of the House repeal/replace Obamacare. And we were having dinner with President Trump, Vice President Pence as congressional liaisons Reince Priebus and Bannon were walking in and out of the room reporting on the latest. But the point is that I got a call from Vice President Pence two weeks early wondering if Kathryn and I would accept the invitation if it were extended. I was just reminded of this, and again, that’s protocol. If you say, “No, I don’t really, Mr. Vice President, thanks, but I really… I just don’t feel like going to Washington,” then there would be no invitation. I mean, the bottom line is the president is not turned down. If there’s a sense that the invitation’s not gonna be accepted, it’s not offered, and I was reminded of this before we got the bite here from General Kelly as a bit of evidence of procedures in this White House. So it does argue that the whole thing… With that congresswoman in the car? I mean, how many of you drive around the car all day with your congresswoman or congressman with a cowboy hat on? How many of you?